Friend, fellow Denver area artist, and Ableton guru Chase Dobson (aka c.db.sn) has released a new collection of compilation appearances, collaborations, remixes, B-Sides and unreleased material called Terrestrial. The album is now available digitally and exclusively via Bandcamp.com. 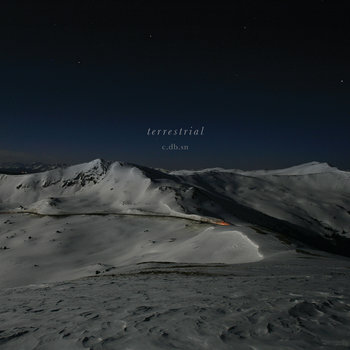 Terrestrial is a remastered collection of rare material spanning 2008 to the present. Including over 30 minutes of previously unheard c.db.sn material, this collection offers the listener a unique perspective into the evolution of the c.db.sn sound. Even though this is described as a “collection”, it’s mastered well and flows very nicely as a continuous listen. I’ve been listening to this album all day and really enjoy the variety of all these pieces and how Chase put them together for this larger collection.